A couple of us from the SelectSpecs.com office took some time out on Monday to pay a visit to see the latest box office comedy hit, The Hangover, staring Bradley Cooper, Ed Helms, Zach Galifianakis, Justin Bartha, and Heather Graham. While most of the best bits of the film were shown in the trailers a few weeks before the movie was released I personally enjoyed the film with many moments of laugh out loud comedy, especially scenes involving Alan Garner (Zach Galifianakis) – like being shot in the face with a Tazer gun, only in America! 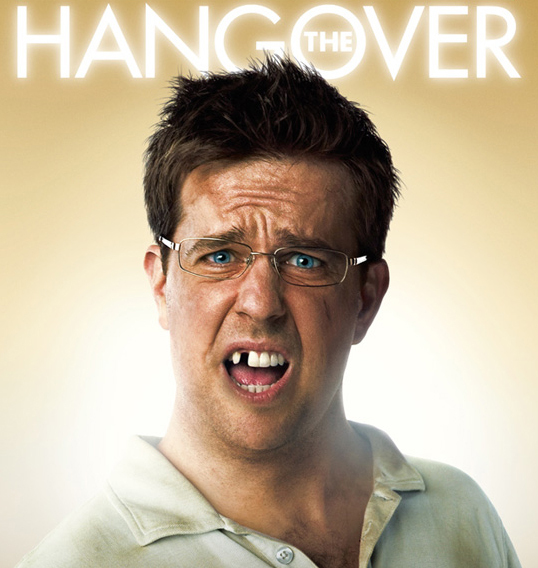 Stu Price (Ed Helms) – wears metal, square-shaped frames, normally. We wouldn’t mind betting that his sunglasses are actually prescription sunglasses. Next on the list of movies to see is Transformers: Revenge of the Fallen. Excited already! Which glasses did Ed Helms (Stu Price) wear? 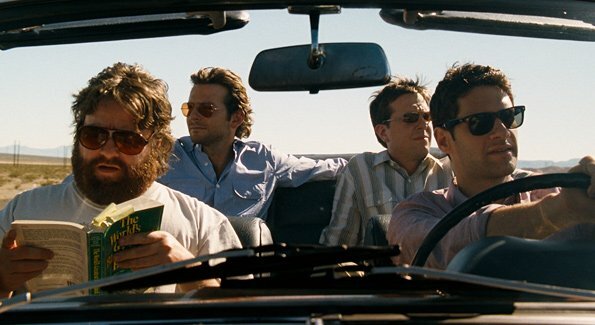 Sorry, we haven’t really been able to determine what glasses Ed Helms (Stu Price) wears in The Hangover. Quite honestly, they could be anything. As for his sunglasses. I think they may have been Ray-Bans, but I could be wrong. Oh, so I have this figured that Phil’s Ray Bans are the 3025, that’s the easy part. Look to be a silver frame. But the lens appears custom. Can someone just tell me down to the last detail where I can purchase these! What sunglasses does Heather Graham wear in her opening scene. I absolutely love them and want a pair. regarding Phil’s glasses, I’d agree with you 100%. They do indeed appear to be custom lenses since there is NO Ray-Ban logo in the top corner of the lenses. If you want to place your own tinted lenses in the frames, you could choose the cheapest, or most similar frame colour and select “Add Prescription”. Then if you don’t require a prescription select ‘Plano’ Lenses and select Pink tints or whatever you prefer. We would ship the glasses with your new lenses fitted and supply you with the original lenses just in case you want to go back to them. I also wannna know what sunglasses does “jade” wear in the movie? I know this is an old post but i'll give this a shot. I have been in search of a specific pair of sunglasses from a Ck free ad dated around Aug/Sept of 2009. Type it in on Youtube (Ck free ad) and its the commercial with the guy driving an old pontiac through the desert.. 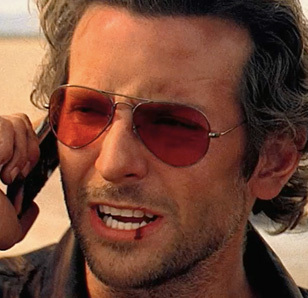 I would love to get ahold of the sunglasses he's wearing but the closest I have found and I believe they are the correct sunglasses…are Ray Ban Caravans…..but the type he is wearing in the ad look different than any of the newer Caravans Ray Ban has to offer. So any info that you could provide me with about these sunglasses is much appreciated. 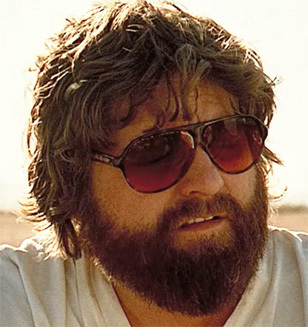 I am going to be Alan for Halloween and found some comparable shades similar to Blublockers at Flyclothing.com but want the real ones. Does anyone know where to find them? I think you'll find Phil's glasses are actually Oliver Peoples Benedict aviators. But yeh they don't really look different to Ray Bans.